Usually the end of HHN bums me out for months. I sink into a dark hole of Sadistic Wonderment withdrawal that consumes me until after Mardi Gras comes along. Well, this year was a little different. 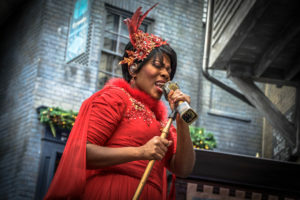 Universal changed up their holiday offerings and introduced all new experiences and freshened up old ones. 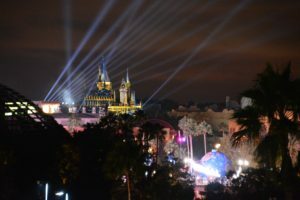 All of these new things made it easier to break out of that post-HHN funk this year! Despite there being so much NEW this year, there is one thing that hasn't changed much in recent history. And that's Grinchmas. 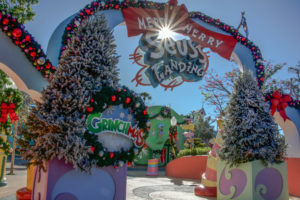 Amazing decorations cover every single inch of visible area in Seuss Landing! Just like always, you can meet the Santa version of the Grinch in the bookstore and see a live performance of "How The Grinch Stole Christmas". Not really seasonal related, unless they close it in non-busy times, but a new cotton candy store opened not too long ago as well. Nothing else new or different here like in years gone by. There is a new holiday parade this year. And instead of it being "Macy's presents..." it's "...featuring Macy's." So the Macy's branding has definitely taken a backseat. But, there is still much branding to be had. Now it's branded for the Universal/Dreamworks Animation fanbase! 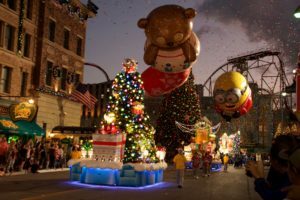 Plenty of Minions, Shrek, King Julien and more fill the streets in this fun holiday parade. There were a couple things missing that I really enjoyed about the old one, but overall, I really like the new parade! And then there's the new hottest ticket in town. 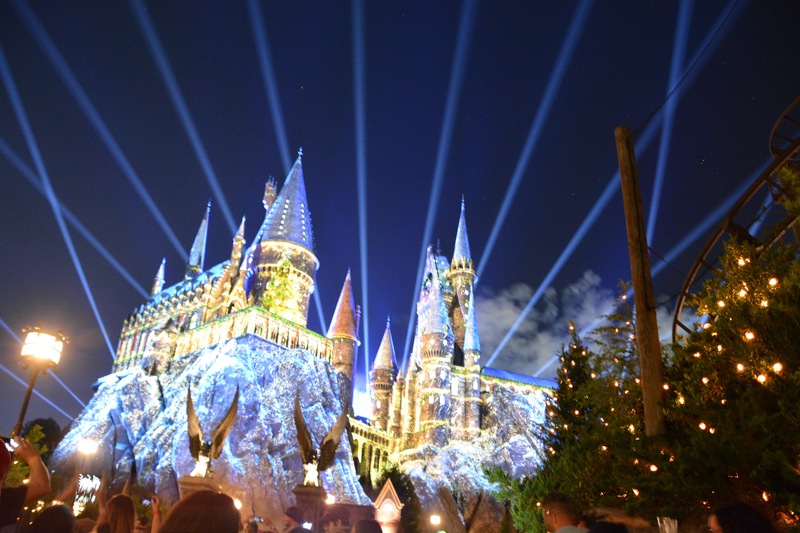 The Magic of Christmas at Hogwarts Castle. 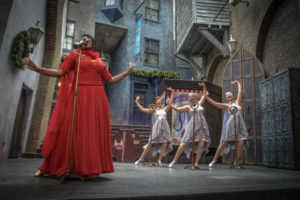 The show takes place daily from when the sun goes down and every 15-20 minutes or so until the park closes. It's short, sweet, and something really cool to see in person. The area and crowd control is something they're working on seemingly daily to "get it right". But don't let a big crowd discourage you. It moves fast! Well, maybe that last one we can do without. 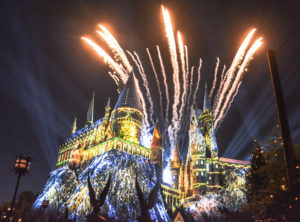 Hope you enjoy the holidays in the parks!